What percentage of carbs, fat and protein should you eat? 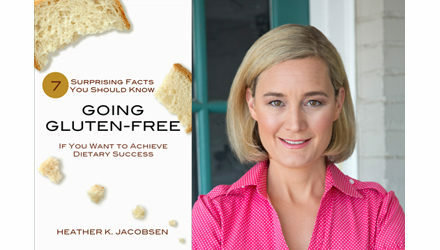 – Going Gluten-Free. What percentage of carbs, fat and protein should you eat? What percentage of carbs, fat and protein you should eat is one of those areas of nutrition in where there is a lot of opinion and not a lot of scientific fact. And probably for good reason: much of it depends on your genetic makeup, your ancestral heritage and your current state of health. 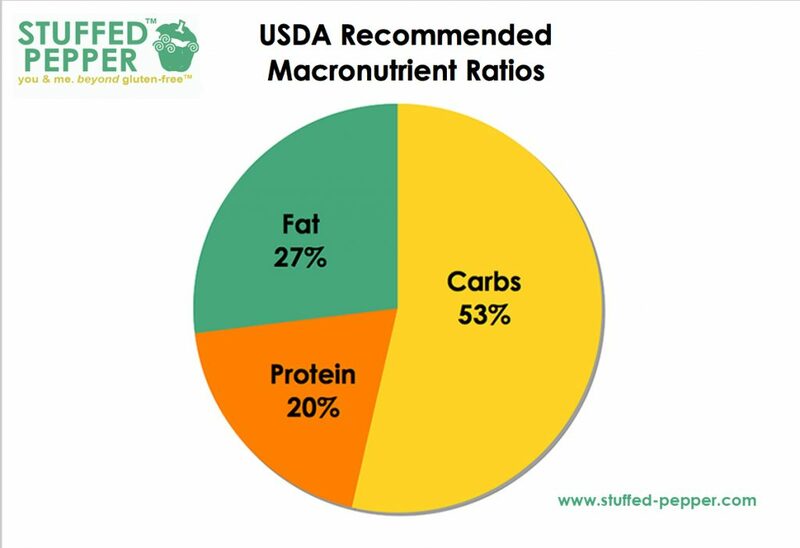 Yet many of us still want a reasonable guideline, and would probably rule out the Standard American Diet (as reflected in the USDA’s dietary guidelines) as the best starting point for these macronutrient ratios. 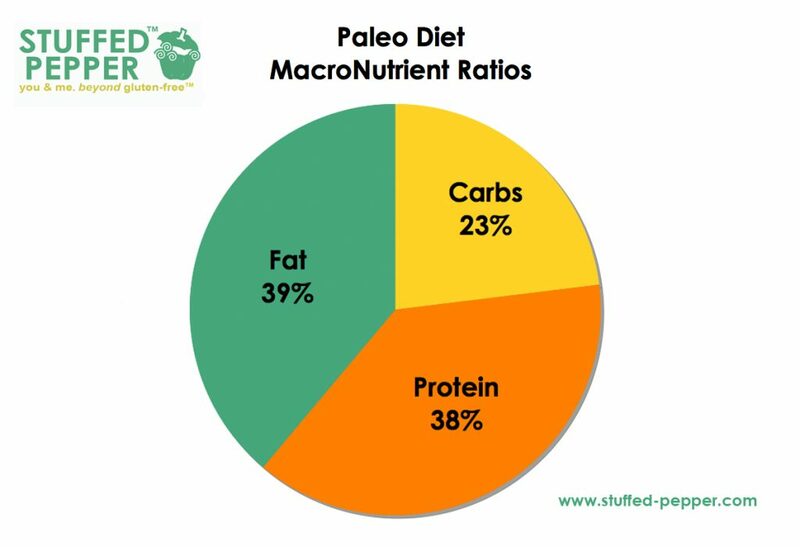 Some would argue that there is no point in looking at ratios at all, since Paleolithic man did not care about how much of which macronutrient he was consuming (much less what a macronutrient was). If he came across something edible, he would eat it! No doubt, this is probably true, however, he wasn’t faced with an overabundance of food at his reach, as we are today. Paleolithic man did not have the modern concerns of being much too overweight, nor did he need to worry about the tolls of chronic stress that our modern society imposes on the body. I personally wanted to know how much fat I was eating, because, almost 2 years ago, I went on a ketogenic (Very Low Carb/VLC) diet. I was prescribed this diet by a chiropractic doctor who prescribed it to everyone. It was his answer to everyone’s ills, despite what they might be. Even though he did not know the source of my chronic digestive trouble, he nonetheless, thought the ketogenic diet was the answer for me. I was hesitant at first. Not because I didn’t believe that the diet didn’t have its benefits. But because I didn’t know if it was right for me. I only committed to the idea when I received a test result (from a different doctor) showing that I had fructose malabsorption, and so needed to avoid a long grocery-list of foods that contained fructose (we’ll save that discussion for another day). Going ketogenic made it a lot easier to get the calories I needed while avoiding those that were causing me digestive distress. After doing some searching through the paleo and Crossfit forums, I learned that for a woman (that’s me), with hypothyroidism (me, again) doing Crossfit (yep), a very low carb diet, especially in the long-term, is not recommended. Apparently, the body thinks its starving, and starts to down-regulate thyroid production. Then, with a high intensity workout, like Crossfit, it furthers stresses the body into “adrenal fatigue” (now being more accurately called hypocortisolism or HPA-axis dysfunction). Of course, I don’t have any medical studies to back up these notions at this time. I’m still working on that. And there are some experts on ketogenic/VLC diets who say that the diet doesn’t actually down-regulate thyroid function. You just need less thyroid hormone when you are on it, and so thyroid levels look lower on blood tests. Unfortunately, I don’t have time to weed through the medical literature and the debates. I don’t want to wait another day feeling pain in every single one of my muscles, feeling like I need a crane to get me out of bed, feeling like a ninety-year-old as I climb the stairs. Now, I am interested in bringing more carbs back into my life, and believe it or not, its not as easy as you might think! I got so used to a very low carb diet, that I am not ready to just start downing Twinkies (not that I ever did, anyway)! Of course, I wish to still keep my principles of a grain-free, low-sugar diet. I did try to incorporate some rice into my diet, since its been recommended by Chris Kresser as a “gentle” carb. It did not sit well with me. So I am back to the carbs that I know to be safe for me (sweet potatoes, plantains, berries, carrot juice (so sweet! )), and upping their quantities slowly. On days when I slip back into the VLC, simply because of habit, I start to feel the tightness in my muscles again. When I eat more carbs, the pain goes away. I think there is something to this. At least for me. So how many carbs should I be eating? 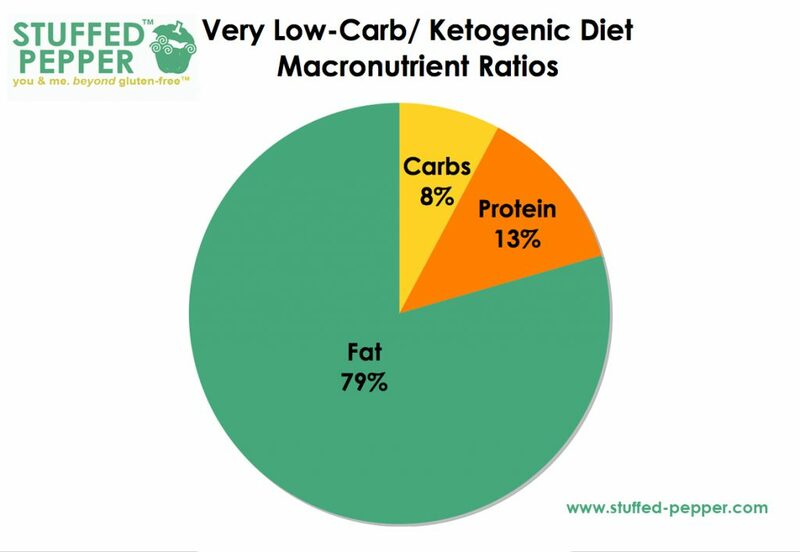 Taking a look at the macronutrient ratios recommended by some of the top dietary schools of thought, there is obviously no one right solution for everyone. The USDA’s guidelines are way to high in carbs, in my opinion. And the Very Low Carb/Ketogenic Diet is currently too low for me. The following ratios are what are outlined in Jimmy Moore’s book Keto Clarity, but are meant as a template, not exact ratios for every person. Loren Cordain gives ranges of percentages for hunter-gatherer societies, which vary so widely from one society to the next, that you can’t really give one ratio that fits them all. I averaged them anyway – maybe not scientifically sound, but just to get an idea. As you can see, carb consumption by traditional societies is still much lower than our Standard American Diet, except for a few outliers. Dr. Cordain gives a rough estimate of what he believes are good ratios for the paleo diet, but apparently has received criticism for it being too high in protein. 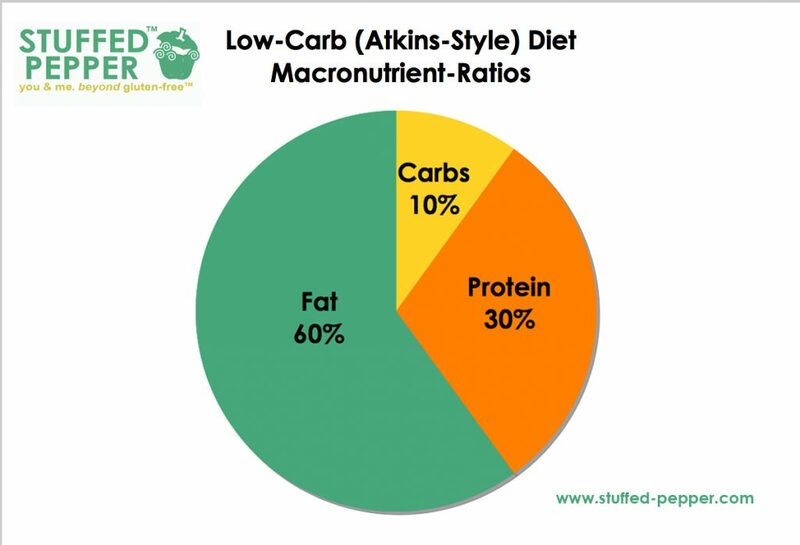 The Atkins-style low-carb diet (not as low as keto), is lower in protein than the paleo diet (not by a whole lot), lower in carbs than paleo, and much higher in fat. 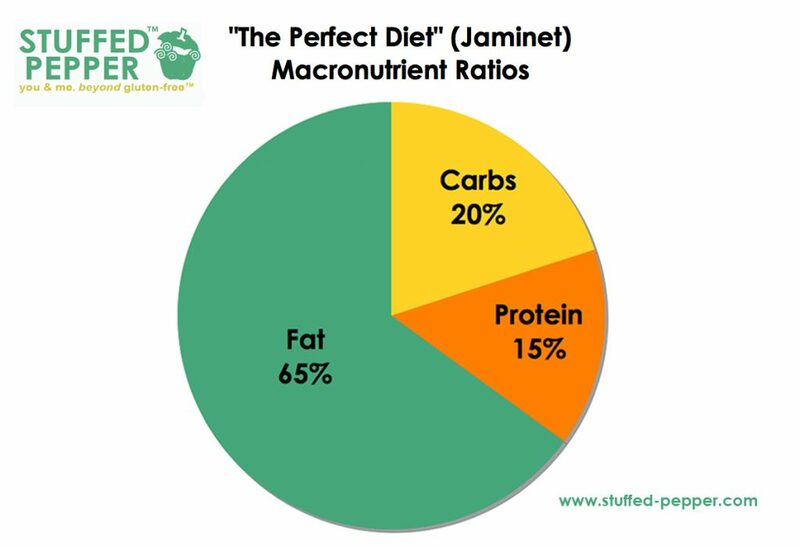 Probably the “sweet spot,” at least for me, is somewhere within the Jaminets’ “The Perfect Diet” pie chart, as outlined on this post from ThePaleoLeap. It seems to be enough carbs to keep me going, but not too much. It’s also not too much protein, which can be problematic in its own way (yet another discussion for another day). And it’s high in fat, which my body seems to do well by. But that’s just me. 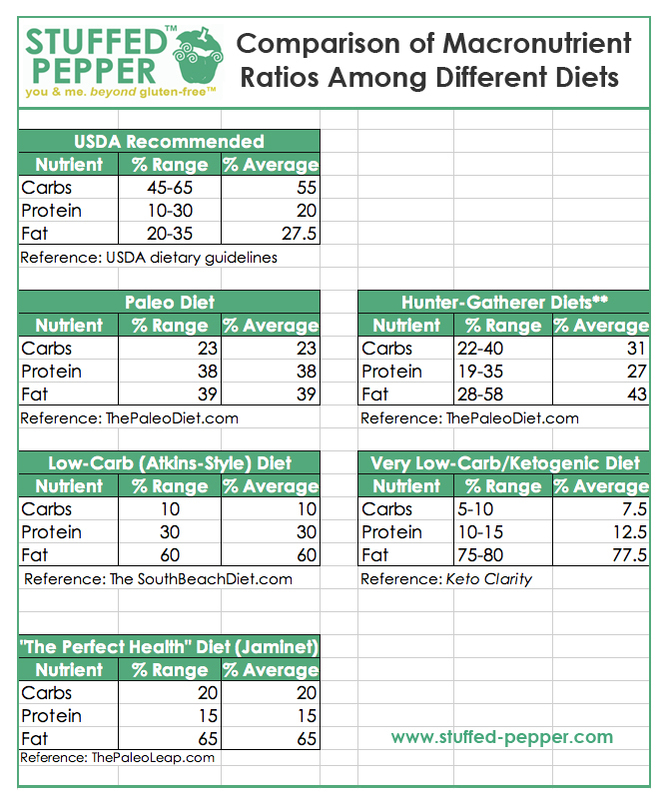 Since I went through the legwork of comparing the different percentage of carb, fat and protein ratios out there, I wanted to share it with you. I hope it will help you figure out what the right ratio is for you. And it may be possible that those ratios change depending on the different circumstances in your life, as suggested in ThePaleoLeap’s post. Of course, these are all just guidelines to start from. You probably shouldn’t try to replicate any one of them exactly. And don’t exhaust yourself with the math, as long as you are getting close enough. 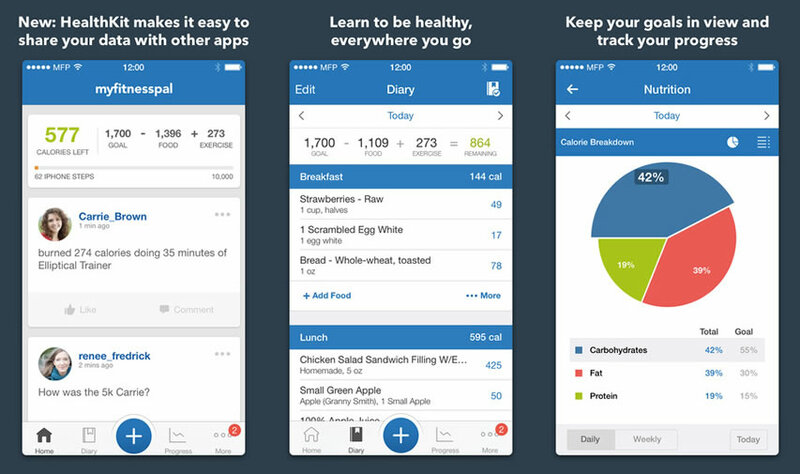 By the way, I use the app, MyFitnessPal to help me calculate my ratios. I just enter what I eat at each meal, and it does the rest! 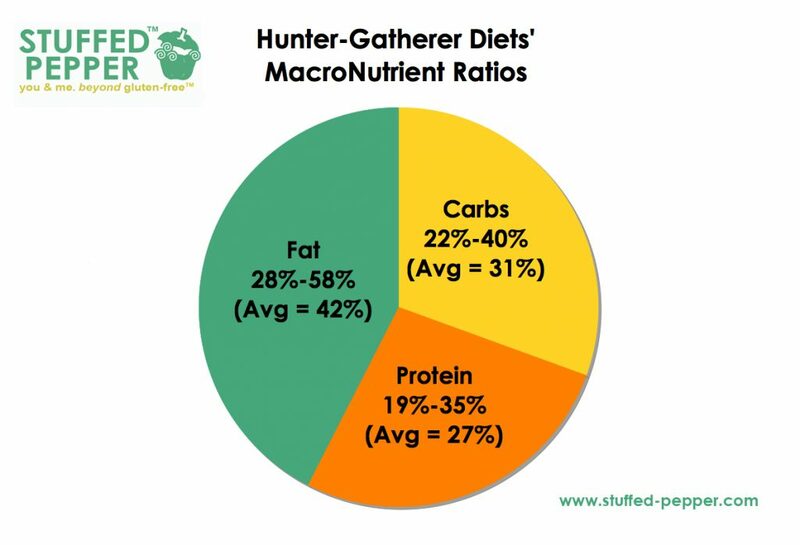 Have you found a good macronutrient ratio that works for you? I’d love to hear your thoughts.